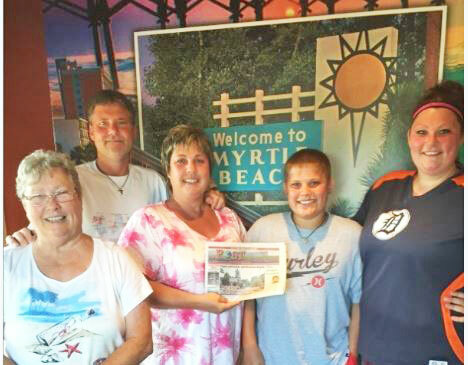 Tag Archive | "Myrtle Beach"
Jerry and Marilyn Moyer, of Nelson Township, recently visited Myrtle Beach, South Carolina, to visit former Solon Center Wesleyan Pastor Tom Holloway and his wife, Kim, and their children Taylor, Christian and Jackson. This picture was taken by his new church. 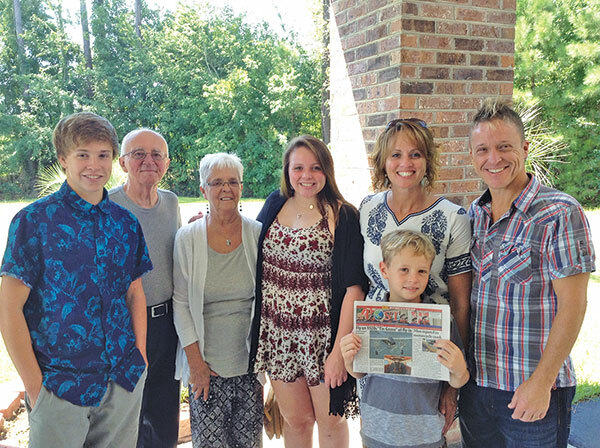 “We truly enjoyed seeing them for a couple weeks helping them get settled in their new home,” said the Moyers. Thank you, Jerry and Marilyn, for taking the Post with you!